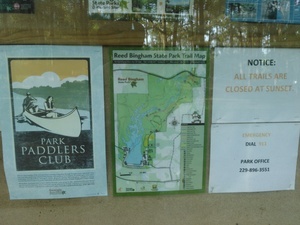 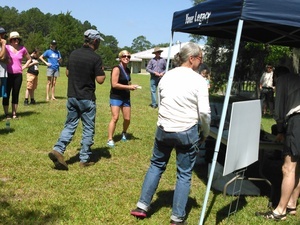 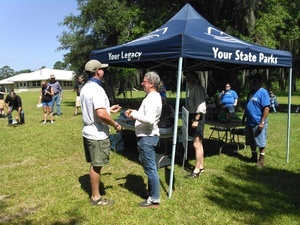 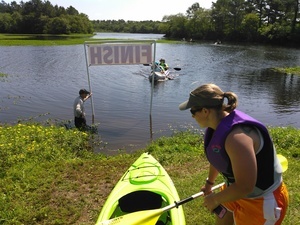 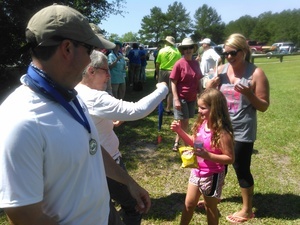 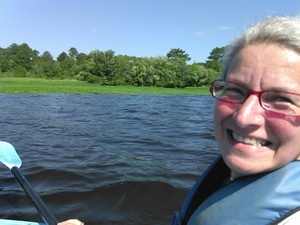 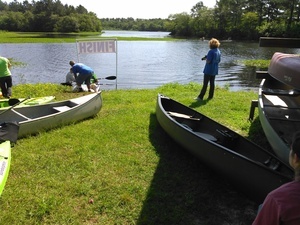 Sunny with a light breeze, not too hot, not too cold, water low and a bit slow, but a fine time was had by all, at the BIG Little River Paddle Race Saturday 16 May 2015 in Reed Bingham State Park. 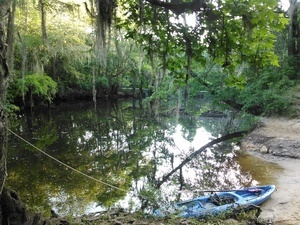 Well, Dwight Griner did clock in slower than the previous two years, but the low water probably caused that, and he still won again. 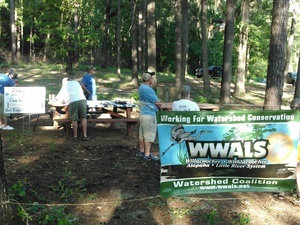 WWALS thanks Friends of Reed Bingham (FORB), the sponsors, the volunteers who helped, and especially the paddlers. 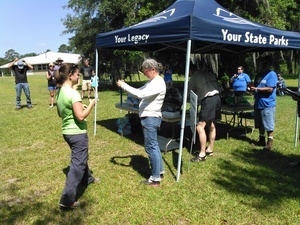 Here we see race organizer Bret Wagenhorst calling out the names of the winners, with Treasurer Gretchen Quarterman handing out the prizes; Ambassador Dave Hetzel also said a few words about WWALS. 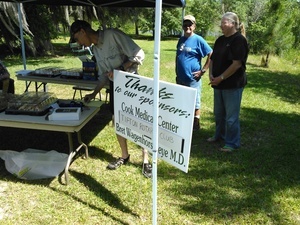 Thanks again to the sponsors: Tifton Rotary Club, Cook Medical Center, and Bret Wagenhorst, MD. 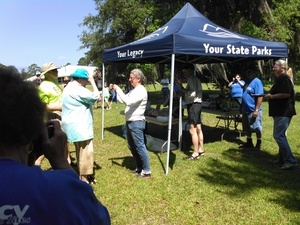 That’s the eye doctor himself leaning over the winners’ list. 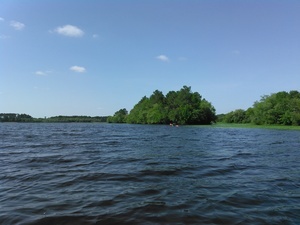 Sunday, June 14th 2015: Sasser Landing to Jennings Bluff. 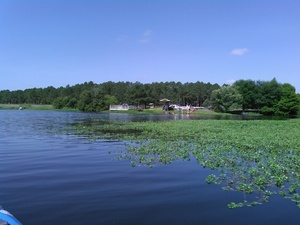 Saturday, July 11th 2015: Lanier Park to US 84. 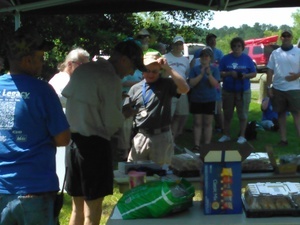 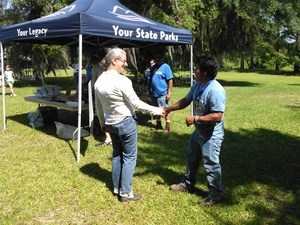 Saturday, August 15th 2015: Alapaha River Rise, Suwannee River, and Sabal Trail Pipeline, WWALS Outing 2015-08-15. 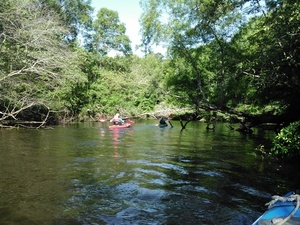 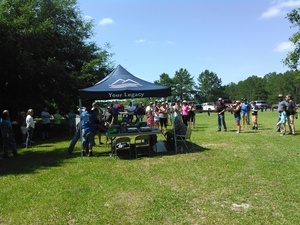 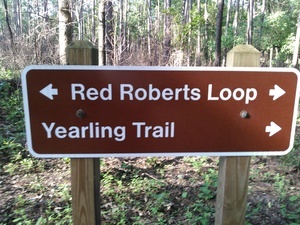 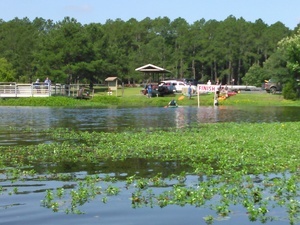 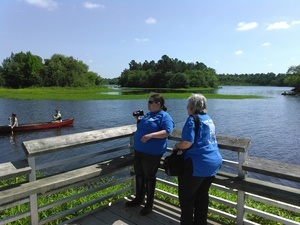 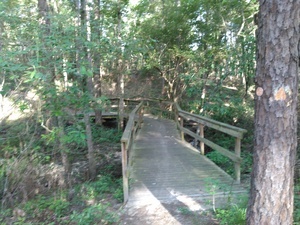 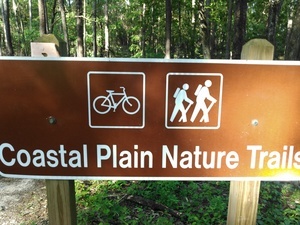 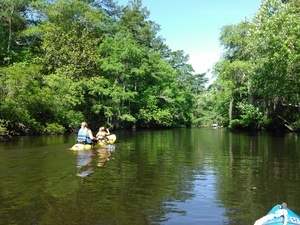 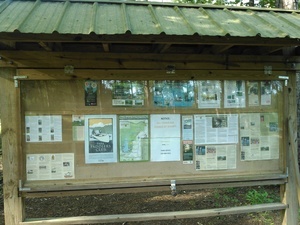 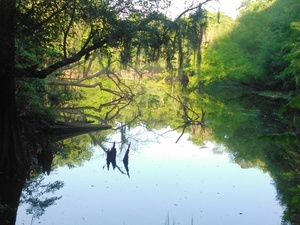 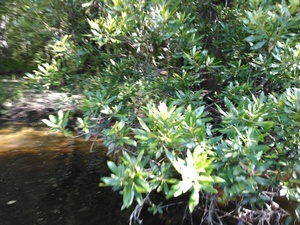 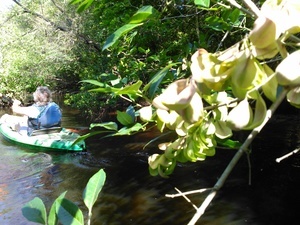 This entry was posted in Outing, River and tagged Big LITTLE RIVER Paddle Race, conservation, FORB, Georgia, John S. Quarterman, Little River, Lowndes County, north Florida, Outing, river, south Georgia, watershed, WWALS, WWALS Watershed Coalition on May 18, 2015 by jsq.